Crusty ciabatta is tossed with italian seasoning , shredded carrots, and a rich and meaty mixed beans. 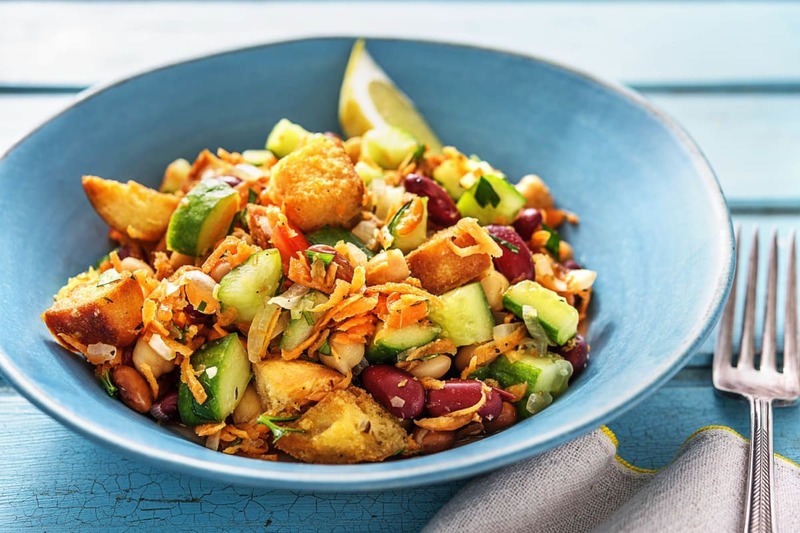 It's our light summery take on a hearty italian bean salad! 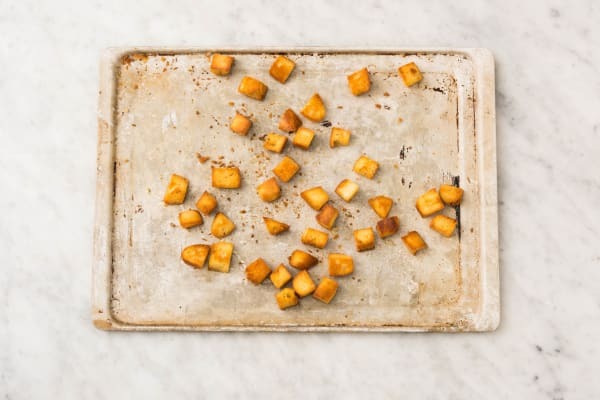 Preheat the oven to 425°F (to toast the ciabatta cubes). Start prepping when the oven comes up to temperature! Wash and dry all produce. * Cut the tomato into 1/2-inch cubes. Cut the cucumbers into 1/2-inch cubes. Grate the carrot. Roughly chop the parsley. Reserve 1/4 cup bean liquid, then drain and rinse the beans. Zest, then juice half the lemon, then cut the remaining lemon into wedges. Meanwhile, heat a medium non-stick pan over medium-high heat. Add 1 tbsp oil, then the onions and Italian seasoning. Cook, stirring together, until the onions soften, 2-3 min. 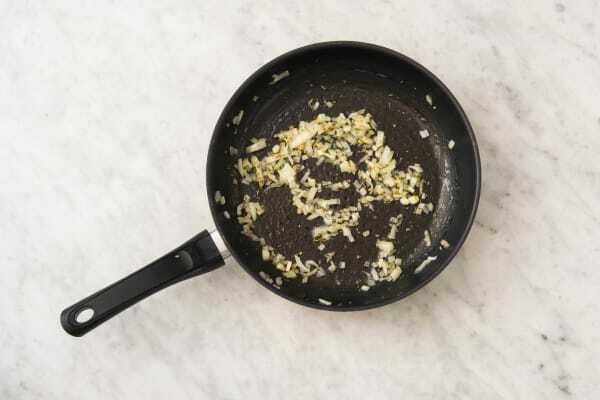 In a small bowl, whisk together the lemon zest, reserved bean liquid, 2 tbsp lemon juice and 2 tbsp oil. Season with salt and pepper. 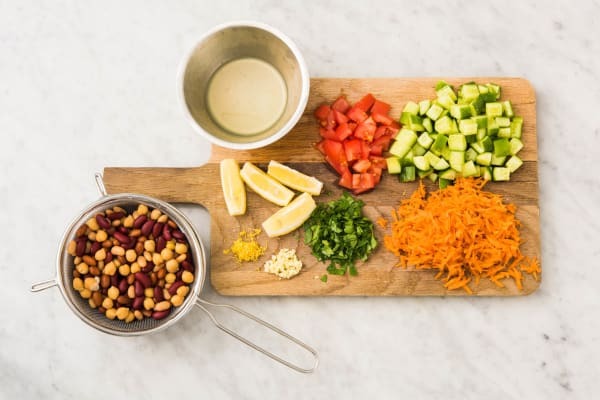 In the same large bowl, toss together the toasted ciabatta, onion mixture, veggies, beans and parsley. 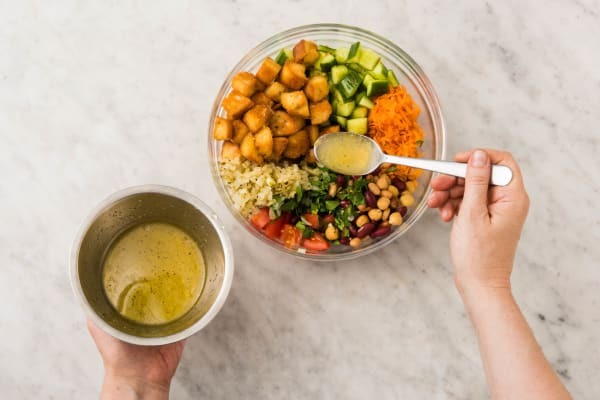 Drizzle over the dressing from the small bowl and toss together. 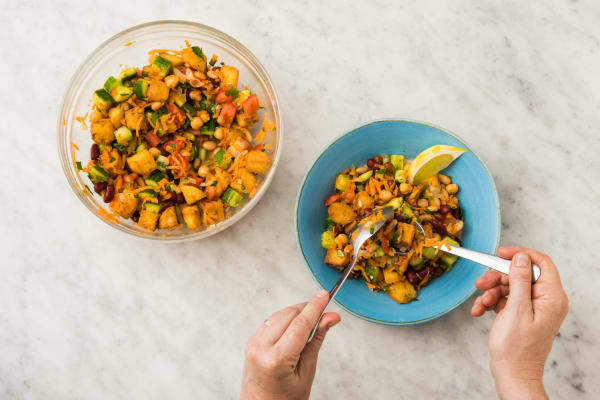 Divide the mixed bean and veggie panzanella salad between bowls.